The St. Louis Cardinals system went 6-3 on Wednesday. Player of Day Freddy De Jesus helped power the DSL Blue Cards to a pair of wins. Recaps of games played on Wednesday, August 8. The Redbirds were off Wednesday, as they traveled to Oklahoma City. There, the Redbirds will take on the Oklahoma City Dodgers on Thursday at 7:05 PM Central time. Austin Warner (1-0, 2.45) will take the mound for Memphis. The Cardinals scored in the top of the first, but the slim lead was not enough as the Missions plated two in the second and two in the fourth for a 4-1 win. 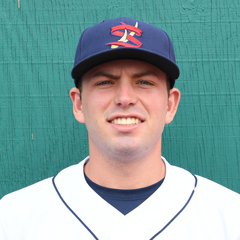 Springfield starter Matt Pearce allowed all four runs across his 5 2/3 innings of work. Pearce took the loss and dropped to 0-4. Eric Carter secured the final out of the sixth, and Junior Fernandez and Derian Gonzalez each pitched a scoreless frame. There is not much to say about the Cardinals at the plate. Shortstop Tommy Edman and third baseman Evan Mendoza each had two base hits as part of Springfield’s total of six. Edman scored the club’s lone run on an RBI single by first baseman John Nogowski. Thursday’s game: Casey Meisner (0-1, 4.15) at San Antonio Missions, 7:05 PM Central time. Powered by 12 runs in the second inning, the Cardinals crushed their way to a 16-10 victory over the Fire Frogs. Every player in Palm Beach lineup scored at least one run. Right fielder Scott Hurst led the way with three, while catcher Brian O’Keefe, first baseman Ryan McCarvel, shortstop Irving Lopez, and second baseman Stefan Trosclair scored two apiece. O’Keefe and Trosclair each hit a home run, and McCarvel knocked in four. The Cardinals combined to hit .500 (9-for-18) with runners in scoring position. Palm Beach starter Ian Oxnevad picked up his fifth win of the season, despite allowing six runs over five innings. John Kilichowski logged a scoreless sixth before Mike O’Reilly was touched for three runs in the seventh. Yeison Medina and Austin Sexton combined to record the final seven outs as Medina was credited with his fifth hold. Thursday’s game: TBA vs. Lakeland Flying Tigers, 5:30 PM Central time. The Cougars’ bats came through when they were needed the most, and that resulted in the Chiefs’ 4-2 loss in Kane County on Wednesday night. Jake Dahlberg started for the Chiefs and allowed four earned runs on 12 hits in five innings, resulting in his first loss with Peoria. Thomas St. Clair and Patrick Dayton combined to go scoreless over the final three frames, but Peoria’s offense did not prevail. The Chiefs stranded 10 runners on base. 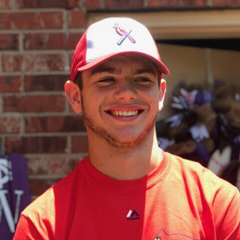 In his first game with the Chiefs after his promotion from Johnson City, third baseman Nolan Gorman went 0-for-3 with a walk and two strikeouts. 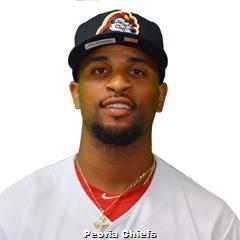 Center fielder J.R. Davis scored both of Peoria’s runs, and Davis and designated hitter Zach Kirtley each accounted for two of the Chiefs’ nine hits. On top of the nine hits, the Chiefs drew seven walks; nonetheless, a collective 3-for-12 effort with runners in scoring position did not serve Peoria well. Thursday’s game: Johan Oviedo (8-7, 4.80) at Kane County Cougars, 6:30 PM Central time. It came down to the final inning, but the Spikes pulled out a 3-2 walk off win over the Black Bears. With the bases loaded and two outs, Spikes first baseman Brady Whalen was at the plate when a wild pitch allowed right fielder Justin Toerner to score the game-winning run. Toerner was 3-for-5 with two runs scored, and shortstop Edwin Figuera and third baseman Stanley Espinal each had a pair of base hits. Although they were victorious, the Spikes went just 2-for-10 with runners in scoring position and stranded 11 runners. Diego Cordero logged 7 2/3 innings in his start, his longest outing for State College. Cordero allowed two runs and did not factor in the final decision. Reliever Troy Montemayor picked up the win after twirling 1 1/3 clean frames to improve to 2-1. 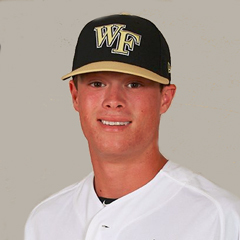 Thursday’s game: Chris Holba (2-2, 2.73) vs. West Virginia Black Bears, 6:05 PM Central time. The game on Wednesday between the Cardinals and Pirates in Bristol, Virginia, was postponed due to rain and will be played at Johnson City on Sunday, August 12. The Cardinals will return home to face the Princeton Rays at 6:00 PM Central time on Thursday. The team has not announced their starting pitcher. In a quiet contest at the plate for both sides, the Cardinals won the first game of Wednesday’s doubleheader by a 2-1 score over the Astros. Cardinals shortstop Mateo Gil did the run manufacturing himself, as he hit a two-run home run in the sixth inning. It was his first home run as a professional. Right fielder Jhon Torres scored on Gil’s long ball. The Cardinals’ pitching handled things from there. Starter Connor Coward logged five innings and improved to 3-0 with a deserved win. Coward limited the Astros to just one base hit. Alex Gallegos pitched the sixth inning, and Edgar Escobar fired the seventh. Gallegos picked up his fifth hold, and Escobar notched save number six. In a slightly less quiet affair, two Cardinals’ runs were not enough; the Astros split the doubleheader with a 3-2 victory. Right fielder Jhon Torres was 3-for-3 at the plate for the Cardinals. Torres doubled and homered, his second of the season. Left fielder Diomedes Del Rio scored the Cardinals’ other run. In this half of the doubleheader, however, two runs were not enough. 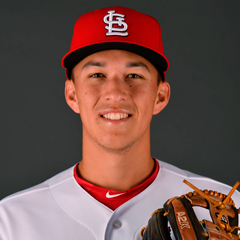 In his second pro outing, Cardinals starter Griffin Roberts pitched two scoreless innings before he was lifted in favor of Chris Rivera. Rivera tossed three innings of one-run ball, and Ty Cohen followed with a pair of scoreless innings. Freddy Pacheco was charged with his first blown save and second loss of the year when he allowed two unearned runs in the eighth inning, as the Astros came from behind to get the win. Next game: vs. GCL Marlins, 11:00 AM Central time. Four unanswered runs late in the game paired with a pair of five-run frames from earlier in the contest equated to a 17-9 victory for the Cardinals over the Cubs. Several players made an impact at the dish on Wednesday, including all three outfielders: left fielder Claudio Ramirez, right fielder Alexander Samuel, and center fielder Luis Montano. Ramirez had four runs batted in with two doubles, and Samuel drove in three with a home run. Montano and first baseman Cristhian Longa scored three runs apiece, and shortstop Yowelfy Rosario had the patience to draw three walks. On the mound, Cardinals starter Martin Cordova did not factor in the final decision after his five-inning outing. Cordova surrendered six runs and was relieved by Roy Garcia, who worked the sixth and seventh frames. Garcia ultimately picked up the win, his first in three decisions this year. Nelson Prada logged zeroes in the eighth and ninth frames. Thursday’s game: at DSL Cubs2, 9:30 AM Central time. Plenty of timely hitting lifted the Cardinals over the Twins, 12-4, in the first game of Wednesday’s doubleheader. 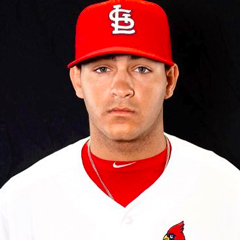 Cardinals first baseman Freddy De Jesus, our Player of the Day, and shortstop Pablo Gomez drove in three runs each, and designated hitter Jean Selmo highlighted the box score with four runs scored. The Cardinals went 7-for-20 with runners in scoring position and stranded eight runners on base. Starting pitcher Julio Puello worked in to the fifth inning and surrendered all four of the Twins’ runs in the game. The Cardinals turned to Leonardo Taveras out of the bullpen, and he came up with three scoreless frames to wrap up the contest. Taveras earned the win to improve to a 3-1 record. With another offense-rich performance, the Cardinals cruised to a 17-2 win over the Twins for a sweep of Wednesday’s doubleheader. The Cardinals scored in every inning, including 12 runs across the first three. Three-, four-, and five-hole hitters – first baseman Malcom Nunez, designated hitter Freddy De Jesus, and third baseman Ramon Mendoza – combined for 10 runs batted in. De Jesus was 3-for-3 with four runs scored and three doubles. Francis Ventura started for the Cardinals and earned his fourth win of the season. Ventura worked five innings, and Saniel Santana followed out of the bullpen with the final two frames. Ventura and Santana each allowed one run, and the pair of hurlers combined to hold the Twins to just four hits. Thursday’s game: vs. DSL Twins, 9:30 AM Central time.